Masport has a comprehensive range of lawnmowers and garden equipment because we know every lawn is different. Most Masport lawnmowers have been designed to meet the needs of the heaviest lawn conditions and the longest mowing times – we make our lawnmowers to last! With nearly one hundred years of manufacturing excellence up their sleeve, Masport lawnmowers combine quality and innovation with reliability you can trust. 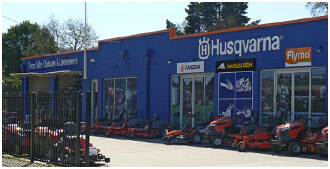 Welcome to Ovens Valley Chainsaws and Lawnmowers, your one stop shop for all your lawncare and outdoor needs. We specialise in the sales, service and repairs of an extensive range of garden products and outdoor equipment for the Ovens Valley and beyond. With our comprehensive showroom and fully equipped workshop we will exceed all of your homeowner, landowner and commercial needs. As a proud Husqvarna Crown Dealer, you can expect nothing but the best product selection, plus comprehensive knowledge and top-quality service. With friendly assistance and advice we can also offer you the very best in all the other makes and models of the quality brands we stock. Copyright © 2019 Ovens Valley Chainsaws & Lawnmowers	All rights reserved.